The e-mails flowed in — from Dan, Albert, David and Moshe. From Paul, Eric and Yoav. And from Benjamin, Rafael and Ethan. They all wanted a spot here, on the Forward’s opinion pages. While it’s not a new trend for opinion editors to hear far more from the Mitchells and Jasons than from the occasional Donna or Jenna, when you’re on the receiving end of op-ed submissions, the quick emergence of a pattern of male dominance can come as a shock. I had the pleasure of supervising the opinion pages for much of the fall, ending last week, when the opinion editor returned from a leave. From the beginning of September through mid-November, I received almost seven times as many unsolicited articles from men as from women: That’s 47 submissions from men and only seven from women. (This is the group of articles that a first glance showed were coherent and worth another read.) Over the same period, four times as many letters to the editor (using the same baseline) came from men as from women, 68 versus 18. Because we just had a run of guest editors filling this page, I couldn’t actually accept many submissions. And many of those I received were not right for our pages. Even with those, though, I admired the writer’s nerve in sending his or her piece out into the world. You have to throw a lot of stuff at the wall for anything to stick. But why weren’t more women throwing stuff at the wall? Why weren’t women speaking out? “That’s the $64,000 question,” said Ginna Green, an advisory board member and seminar leader for the OpEd Project, a New York-based nonprofit devoted to rectifying the gender disparity on the nation’s opinion pages. The OpEd Project runs seminars to coach women through the process of writing and submitting opinion articles — and it has established a track record of getting them published. Still, the OpEd Project’s latest byline survey, for the week of November 12-18, shows typical results: In six of the country’s top news sources (including The New York Times, Washington Post and Wall Street Journal), op-eds by women were on average only about one-fifth of the total. “Women cite a full range of reasons why they may not be willing to put thoughts to paper in a public realm,” Green wrote in an e-mail. But we all lose, she said, “when entire segments of society — women, people of color, young people — are unable to bring their ideas and experience to bear on society. So whether women don’t write because of fear, doubt or, quite simply, a lack of knowledge as to how op-ed pages operate, the OpEd Project aims to change that.” What actually ends up in print reflects the outreach and discretion of editors — who may or may not have worked to include female (or other minority) voices. But submissions are a measure of self-selection, a demonstration of people’s desire and motivation. And since when aren’t Jewish women, in particular, both opinionated and motivated? Columnist Froma Harrop, for one, was surprised to hear that even at the Forward, the usual imbalance is in place. 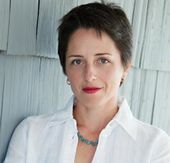 Harrop, 60, who is Jewish (and fondly remembers her grandfather reading the Yiddish Forverts), has had her self-described “wonky” column distributed by Creators Syndicate for 10 years and is vice-president of the National Conference of Editorial Writers. I agree. I’ve seen male writers assertive enough to submit both good and bad columns to the Forward, and to follow up, which can help them. If female writers are equally assertive — which is to say, equally present — I have no doubt they’ll appear on this page more often, and likely on other op-ed pages more often too. Karen Loew is associate editor of the Forward. This story "Karen Loew: Missing Half of the Potentially Best Ideas" was written by Karen Loew. Karen Loew is a journalist and urbanist in New York. Follow her on Twitter @karenloew.